Two ministers from the U.K. on Saturday visited Rohingya refugees in southeastern Bangladesh to assess how British aid is helping them. Joanna Roper, special envoy for gender equality, and Mark Field, minister of state for Asia and the Pacific, also held talks with senior government officials in capital Dhaka to see how the government is supporting young Rohingya girls and communities to access education. 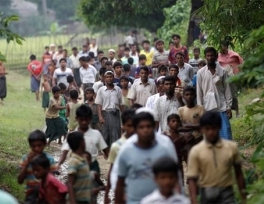 “I call on the international community to work with Bangladesh to step up support for the refugees, both during this monsoon season and in the longer term through the provision of education and livelihoods,” said Field, in a statement released on the government's website. “Girls’ education is the right thing to do: women and girls have the right to be educated, equal, empowered and safe…we must leave no girl behind and enable all girls to receive 12 years of quality education,” Roper said. 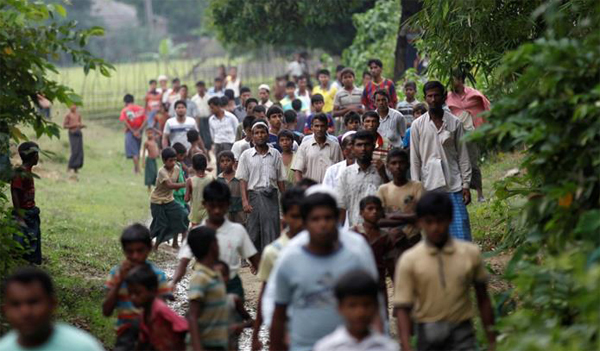 “That message is equally important for Rohingya girls to hear,” she added. The two ministers visited the Kutupalong refugee camp in Cox’s Bazar, southeastern Bangladesh, and met with refugee families and community leaders and listened to their stories of persecution under Burmese authorities in Rakhine state, Myanmar. They also visited a UNICEF child-friendly camp where efforts were being made to keep children safe and provide them an education. The ministers were also briefed on how U.K. aid was being used. “The U.K. remains a leading donor to the crisis, committing £129 million ($170 million) since September last year to support the refugees and vulnerable host communities,” Field said regarding the U.K.’s aid contribution.